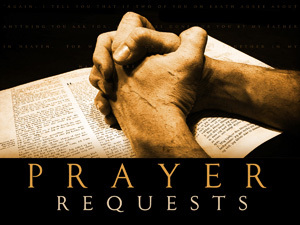 Please submit the online form below to Send a Prayer Request, note or message to Pastor Buster. The information provided gets emailed directly to Pastor Buster. Please note if you do not specify the Prayer type it will remain PRIVATE only to Pastor Buster.